Not all characters in the International Zodiac Job System are equal. Now the PC version is here, let’s revisit their complexities. Final Fantasy 12 is very much all about customization, and any of its cast of six main playable characters can technically fill any of the twelve job roles on offer – where in the context of this game, jobs equal traditional RPG classes slotting into a range of different categories. But as we note above, there’s a small catch: characters in FF12 aren’t all the same when they first join your party, and some characters are more suited for certain classes than others. Compared to some of the other systems in FF12 we’ve already covered on our tips page or how specific the process is to get the best weapon in the game this actually breaks down quite simply, however: there are clear-cut characters who are the best for certain roles, though looking at stats to figure out which should do what is still a little on the tedious side. That’s why we’ve built this page – to detail concisely exactly who you should give what job. There are a number of facets that’ll help determine your decision, and one thing that can’t be emphasized enough is how there is no wrong decision when you’re picking a job for each of FF12’s cast of characters. These jobs, or classes in traditional RPG terms, are quite flexible and so are the characters. Some characters have a natural affinity for some kinds of weapons and gear, but these affinities can be easily overcome with the right equipment and skill (license) combination. With that said, we do have some recommendations based on character skills – so let’s get to that. 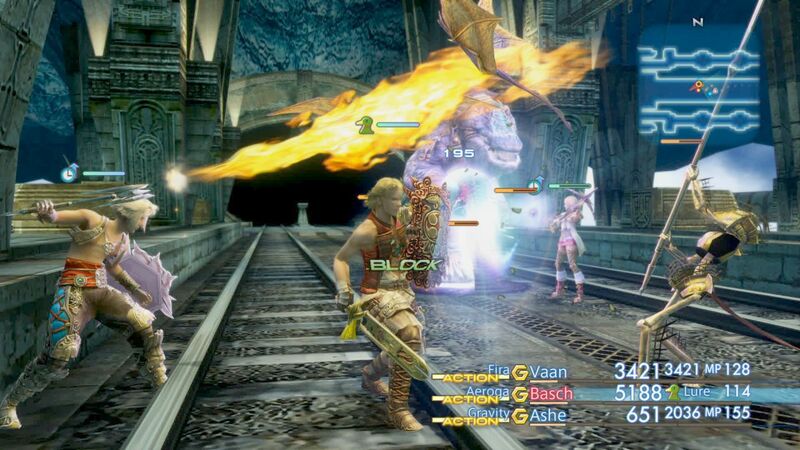 Vaan, Balthier and Basch are all better with combo-heavy weapons that use the game’s combo mechanic. This goes for classes like the Bushi, Shikari and Uhlan. This also means they’re the most effective characters to give the powerful Genji Gear armor to later in the game. Ashe and Penelo are your best mage candidates. Which of the two you give what sort of mage roles doesn’t really matter, but these two are the duo with the best general magic stats to begin with. Ashe is also fairly handy with a sword, so consider her a battlemage type. Vaan and Fran don’t excel in any area, but Vaan in particularly is pretty broadly decent at a little bit of everything. These natural strengths and weaknesses are important, but as we mentioned earlier it’s also important to keep in mind that FF12’s natural stats can very easily be worked around with the right gear or the right setup. Sometimes this can even be used to make characters even more powerful still. A great example is Penelo: she lacks physical strength but she’s also extremely fast. This makes her a poor choice for a physical offensive class in the early game, but if you persevere and build her in the right way this can make her devastating as a heavy, tankier class later on, because she has incredible speed to pair with those attacks. For the purposes of this guide, we’re going to focus on our recommendations assuming you’re not going to go in depth into character builds in that way – we’re going to base our picks based on the base stats without any heavy gaming of FF12 The Zodiac Age’s international zodiac job system. Our one piece of advice before we get into this is a pretty simple thing to keep in mind: there is no right or wrong choice. FF12 is broad enough that any job combination will work for you, so got with what works and what makes for the most fun combat experience for you. You should also keep in mind that these choices are suggestions for your first job pick only – your second job choice for each character later in the game should be dedicated to enhancing your first choice for that character. We’re actually breaking this down on a per-job basis rather than a per-character basis. Below we summarize what weapons each job can do and other basic information like that, then offer a few suggestions of characters who will work well in that role. Focused on ranged physical damage and with access to some enemy stat lowering ‘break’ moves, Basch or Fran are our recommendations for this role. An offensive magic user, Ashe is the absolute best pick for this class, but Penelo is a fine pick too. Also known as Samurai, the Bushi class uses katana weapons which calculate their damage output with both strength and magic stats to deal physical damage. As such, you want a good balance of the two, making this role ideal for Vaan. Otherwise known as Breaker, this is a tank-style class that can soak up damage and is a perfect fit for Balthier or Basch. They can also equip genji gear. Your basic offensive class, the Knight is a natural fit for Vaan, Basch or Balthier, especially since the knight can equip genji gear. By using guns this class stays at ranged but also has access to a range of Technicks, making for a great support. Fran or Vaan are a good fit here, but Vaan’s talents may not shine fully in this role, and it’s a role that generally can be performed pretty well by anyone. The classic fist-using martial artist class, this job also has some healing skills. It’s ideal for Vaan or Basch, who have a combination of decent magic and strength stats. A mage with a bit of black magic and a bit of white magic, this role again is best for Penelo or Ashe. An offensive ninja-like class that has the ability to tank, this role is perfect for Vaan or Balthier, while Penelo will be poor in this role early on but come into her own later. Another support class with use of a lot of support spells, this is in many ways better as a secondary class, but fits well on Ashe, Vaan or Penelo as a primary class. The king of physical support in FF12, the Uhlan uses spears to remain at a distance while riddling enemies with debuffs. This role is great for Fran. As with the other magic-driven classes, this healer is best dedicated to Ashe or Penelo, but Vaan or Balthier can also do good work in this job.